The opening days of school conjure up images of backpacks stuffed with notebooks and unsharpened pencils, bulletin boards freshly decorated by teachers, and students showing off new clothes to old friends. 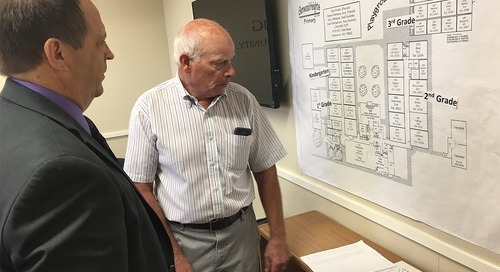 But even in these early days of the new school year, some students are already heading toward academic trouble by missing too many days of school. Across the country, as many as 7.5 million students miss nearly a month of school every year—absences that correlate with poor performance at every grade level. This trend starts as early as kindergarten and continues through high school, contributing to achievement gaps, and ultimately, to increased high school dropout rates. This year, BGPS is recognizing September as Attendance Awareness Month, part of a nationwide movement intended to convey the message that every school day counts. We can’t afford to think of absenteeism as simply an administrative matter. Good attendance is central to student achievement and our broader efforts to improve schools. All of our investments in curriculum and instruction won’t amount to much if students aren’t showing up to benefit from them. Problems with absenteeism start surprisingly early: National research shows that one in 10 kindergarten and first-grade students are chronically absent, meaning that they miss 10 percent of the school year, or about 18 days of instruction, because of excused and unexcused absences. Chronic absence can have consequences throughout a child’s academic career. Children who are chronically absent in kindergarten and first grade are less likely to read proficiently by third grade, and students who don’t read well by that critical juncture are more likely to struggle in school. They are also more likely to be chronically absent in later years, since they never developed good attendance habits. 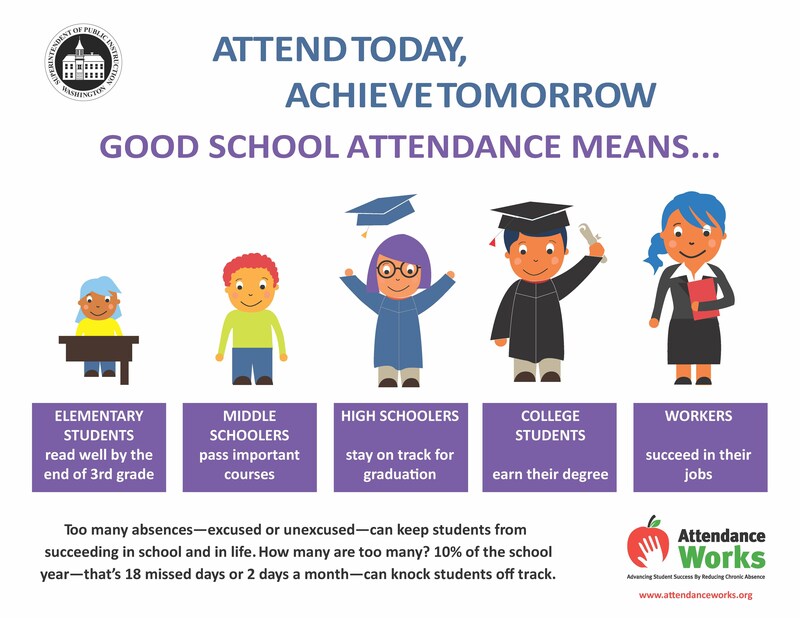 By middle school, chronic absence becomes one of the leading indicators that a child will eventually drop out of high school. By ninth grade, it’s a better indicator than how well a student did on eighth grade tests. Chronic absence isn’t just about truancy or willfully skipping school. Instead, children stay home because of chronic illness, unreliable transportation, housing issues, bullying or simply because their parents don’t understand how quickly absences add up—and affect school performance. After all, 18 days is only two days a month in a typical school year. A student who is absent misses out on their future success no matter whether absences are excused or unexcused, or whether they occur consecutively or sporadically throughout the school year. How do we turn this around? A key step is for parents and guardians to recognize the critical role they play in getting children to school on time every day. Parents can help their children build a habit of good attendance, enforce bedtimes and other routines and avoid vacations while school is in session. As a district, we will continue to closely monitor our attendance numbers to help identify potential issues early on. Our principals and administrators are continually seeking ways that we as a district can support our students and improve our attendance numbers. Just as we use grades and test scores to measure the progress that students and schools are making, we will also look at the impact of chronic absence rates. We invite you to think about what you can do within your own family to help get more kids to school on time each and every day. And join us in our effort to make every day count.